Recently, you’ve heard a lot of about eco-friendly products. Your friends are telling you about the harmful toxins in most cleaning solutions and you’ve read an article or two about how much better eco-friendly products are when it comes to cleaning your home. You’ve noticed there is a lot of information trying to persuade you away from using certain cleaning products. With the harmful toxins in cleaning solutions, it’s a good idea to take a look at what home cleaning products are doing to the air quality in your home. 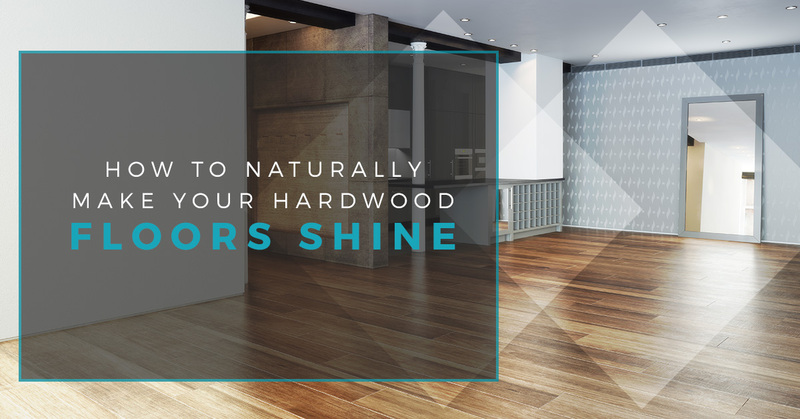 While it’s fortunate that you chose hardwood flooring for your home because it brings in less dust, fewer odors, and when spills occur, for the most part, you don’t have to worry about stains. However, the number one most beneficial factor about hardwood floors is that you don’t have to use harsh chemicals to clean them. As a matter of fact, you can solely use eco-friendly products. We’ll be going over cleaning your hardwood flooring with natural products. If you like to only clean with eco-friendly products, then this blog is perfect for the environmentalist within you. If you enjoy cleaning with more common cleaners, then take the time to learn how you can make your hardwood floor immaculate without allowing your loved ones to get sick. The benefits of using eco-friendly cleaners is that they make the air quality better, preferable for the environment, are less money, and it’s better for your skin if you have allergies to harsh chemicals. It’s essential that you don’t use water on your hardwood floorboards. You always want to keep things dry or as close to dry as possible when you are cleaning. This means you should use a damp mop when you clean or no water at all. Water will severely damage your floorboards. They will become warped and even with finished floorboards, they will sink through the cracks to the ceiling below to damage another floor of the house as well. If a cleaning product says to use water, then don’t purchase it and find one that doesn’t use any water. 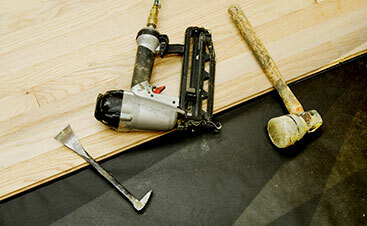 As a matter of fact, focus solely on using products that are for hardwood flooring. Vinegar is a more old school and eco-friendly method of cleaning your floors. However, it’s essential that you don’t clean your floors with vinegar because it can damage them. While vinegar is a great method to clean your home, when it comes to hardwood, try to avoid it. While there has been research done on whether you should clean with vinegar or not, one factor you should always avoid when cleaning your hardwood floors is to avoid harmful chemicals. The list of what to avoid when cleaning your hardwood floors is pretty extensive; however, harsh chemicals will harm not only the floor but you as well. When you decide to go the old school route of cleaning your floors, avoid water, vinegar, and harsh chemicals; and, instead, opt for dust mops, pH neutral cleaner, fine spray mist, or a microfiber mop. No water or vinegar included. Sometimes your hardwood floorboards only need a portion to be cleaned. For instance, your child tracks in some dirt or you forget to take off your heels and you need to do some spot cleaning. While cleaning the entire hardwood flooring might be ideal, you just don’t have the time or you recently cleaned the floors, but you missed a spot. When you have hardwood flooring, you should stay on top of each of the spots you notice on your hardwood flooring. With spot cleaning, you’ll want to avoid using water and only clean the small spot with a hardwood-friendly solution. Also, be ready to do some scrubbing. You’ll want to control the amount of liquid you’re using on the floor, so you can quickly remove the spot and avoid any areas of moisture on your pristine wood. When it comes to cleaners, remember to use a plant-based cleaner because it is natural and doesn’t harm your health nor the environment. Make sure when you use plant-based cleaners, that they are for hardwood floors and you don’t use water. Plant-based cleaning solutions are non-toxic, smell amazing, and can even be less expensive than other products. Additionally, plant-based cleaners are generally not tested on animals. Our Top Rated Local® Flooring Services strives to educate you on any flooring option you’re the least bit interested in. We want to ensure that you’re educated about the choices you want in your home. 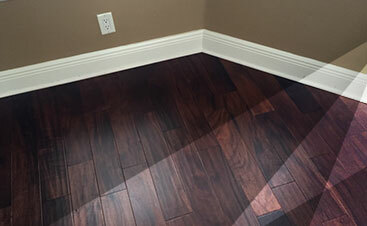 While hardwood is a timeless option, we also offer tile, luxury vinyl, and laminate flooring. For further information about flooring options, reach out to 2 Day Flooring.